and 8:00 am to 3:00 pm on Friday. • Please arrive to the office by your scheduled appointment time. We do not recommend you arrive earlier than your scheduled time. or coinsurance at the time of your office visit. at least 24 hours before the scheduled appointment time. or your nearest urgent care center. • All patients may be seen by the Physician Assistant as directed by the doctor. • No children will be allowed in the back office area or exam rooms. • Patients are responsible for the safekeeping of all prescriptions, including post dated prescriptions. Lost, stolen, or expired prescriptions will NOT be replaced. For example, if you call on Friday, your prescription will be ready by Tuesday. • To ensure that your refill request is processed promptly, please have correct name of drug, dosage, and pharmacy information. • Patients with two simultaneous chronic conditions are eligible for our Chronic Care Management program. 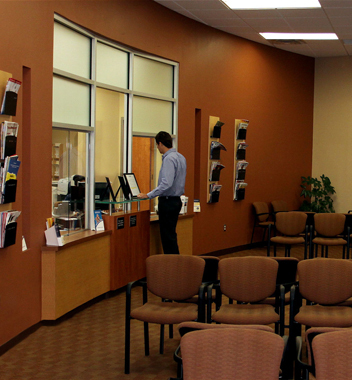 your needs resulting in a healthier and happier you, without extra office or ER visits. an eligibility notification directly from your doctor’s practice in email or via a phone call. the mobile app badge to download the app for your mobile device.